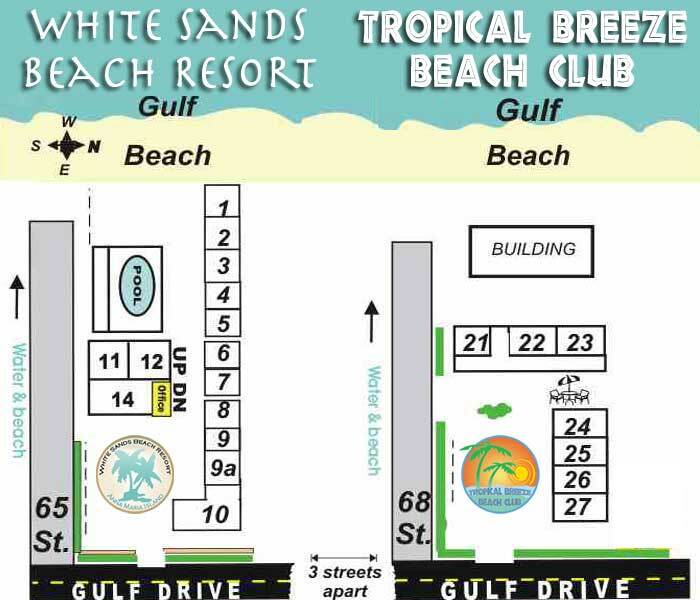 Welcome to the Tropical Breeze Beach Club, located on Anna Maria Island, Florida in the city of Holmes Beach on 68 St. and Gulf Drive on the beachside just a short walk to the beach. 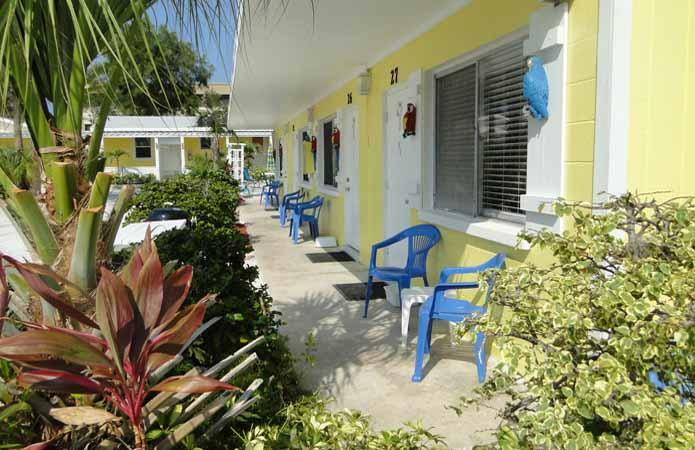 Enjoy Room 24 at Tropical Breezeone of our 3 charming one bedroom cottages & 4 motel room efficiencies all equipped with full kitchen area. 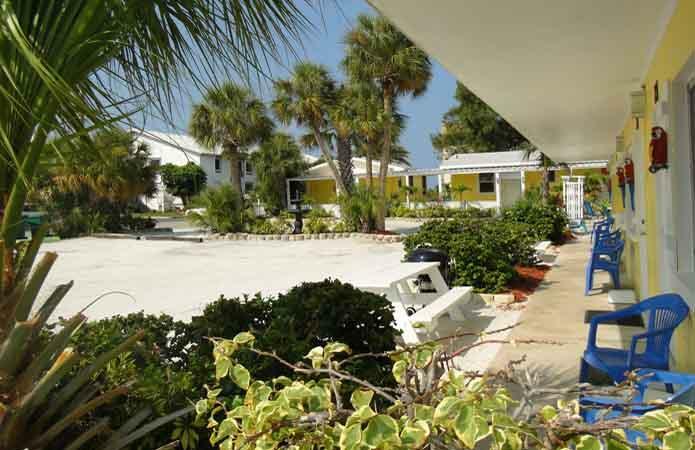 Our Island has a quite relaxing feel of old Florida, beautiful walking beach, warm tropical gulf water of the Gulf Of Mexico, with all the comfort of home AND unique island shops. The cottages have a living room with sofa-bed, a full kitchen and a large bedroom with either 2 twin or 1 king. 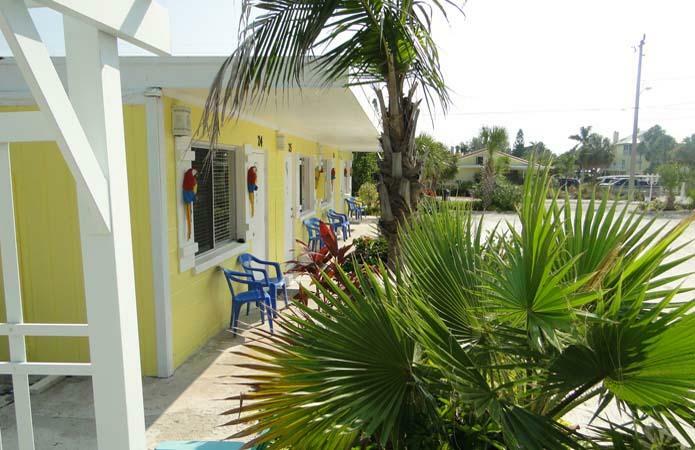 The motel room are efficiencies with full kitchens area and a king bed and queen sofa sleeper. Tropical Breeze Holmes Beach KitchenVacation by the day, week, or month. Monthly customer discount available. All rooms now have 42 inch flat sceen extended cable TV (about 80 channels ) and dvd and free local phone service. 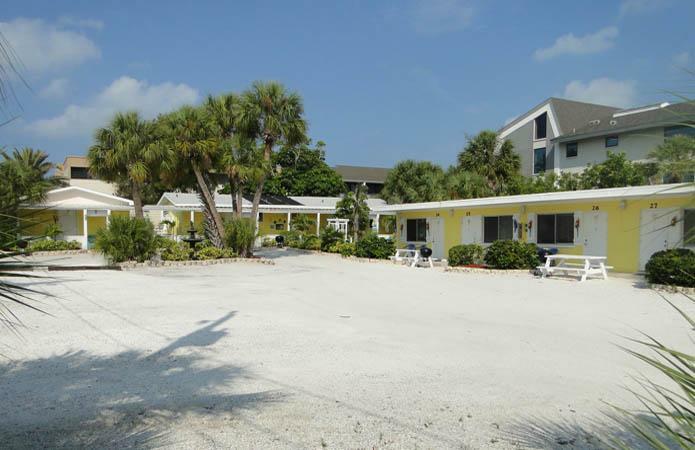 They also have full cooking facility for extended stay customer. Our kitchen have to offer, full size refrigerator (not a Mini frig), microwave, Stove with Oven, toaster, coffeemaker, pots and frying pans, setting of six; glass, dishes and silverware. See our rates. 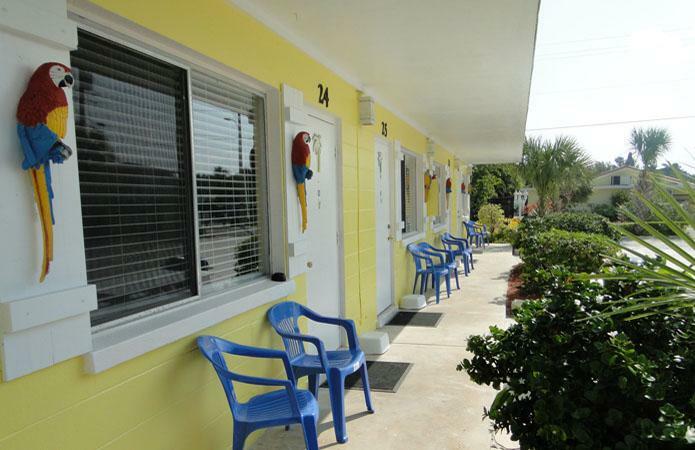 Unit #21, Charming 1 bedroom cottage with 1 king size bed, and queen sofa sleeper. 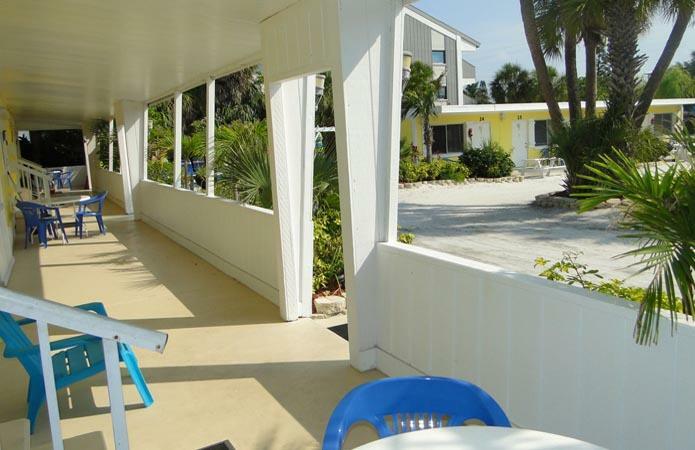 Units #22, 23, Beachside 1 bedroom cottages with 1 king size bed, and queen sofa sleeper. Units #24, 25, 26, and 27, Motel room efficiencies with 1 king size bed, and sofa sleeper.